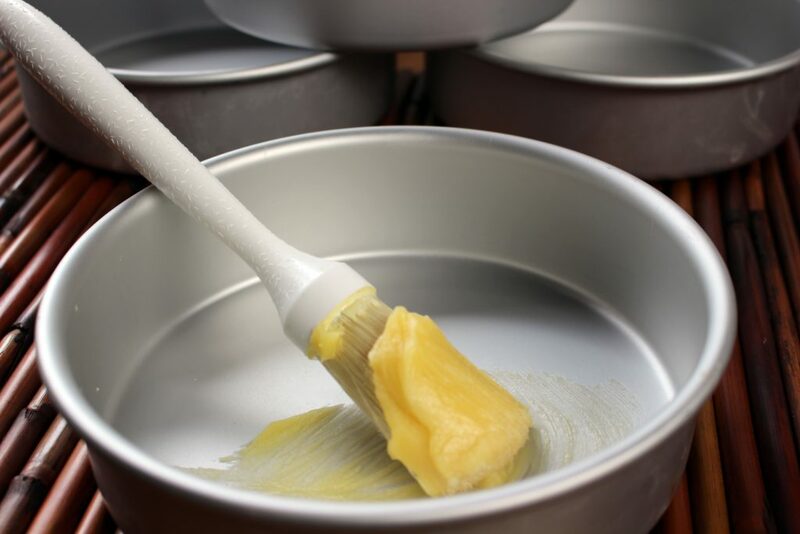 Professional Bakery Pan This Pan Grease recipe is what I used at the bakery to ensure that all the cakes release perfectly with ease every time. I have been pleasantly surprised to hear how much you all love this recipe! No more cakes sticking to pans! YAY! Yes – really! Go a head try it! It’s the simple things in life that make it so enjoyable! You can make this recipe in bulk and keep just a cup or two out at room temperature for easy spreading any time. The remainder can be refrigerated for longer shelf life. *Note that the grease shown in the picture above is a commercial product I bought while I owned my bakery so it looks yellowish where yours will be whiter and very loose. until it is all smooth and incorporated. Hi, can i use butter instead of shortening?